Three years after we called him out. The Black Lives Matter leader and former New York Daily News columnist has been hit with mounting criticism from the Left for allegedly “exploiting black bodies” and trying to silence black critics with threats of legal action. The initial onslaught against King began after the activist posted a tweet Wednesday threatening Clarissa Brooks, a self-described “black queer” writer, with legal action over a deleted tweet wherein she questioned King about funds King allegedly raised for Cyntoia Brown, a Tennessee woman recently granted clemency after serving 15 years in prison for a murder she committed as a juvenile. 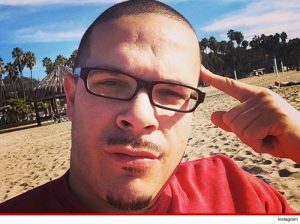 “Are folks going to hold Shaun King accountable to money he ‘raised’ for Cyntoia? Or is that going to disappear as well…” wrote Brooks in a tweet posted January 7. She later deleted the tweet.